Brand New 34' 2018 Avenger with a Rear Living Room!! 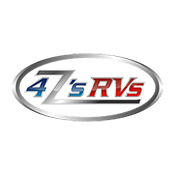 We at 4ZS RVS, are here to help you find that perfect New or Pre-owned RV. If you are just starting out and needing a simple Oasis travel trailer or if you are an rugged outdoors person looking for a toy hauler with your 4-wheelers or dirt bikes, we have it. Fifth Wheels are a great fit for our truck lovers. If it is not in 4ZS RVS inventory, donâ€™t hesitate to ask us. We pride ourselves on going that extra mile to make sure you get a New or Pre-Owned RV you love and have always dreamed of owning. 4ZS RVS Parts and Service is un-matchable in Miami County Indiana as well as Northern Indiana and Central Indiana.